Hmmm…what are Ryan and I reading? 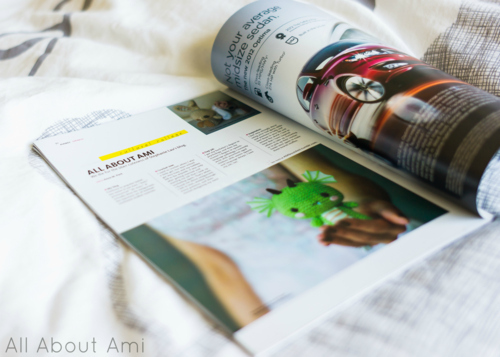 Some super awesome magazines we’ve been featured in! 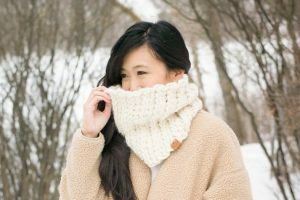 I was thrilled when Anna M. Park, the editor-in-chief of Audrey Magazine contacted me, saying that she loved my crochet designs and wanted to include some of them in their upcoming spring issue! 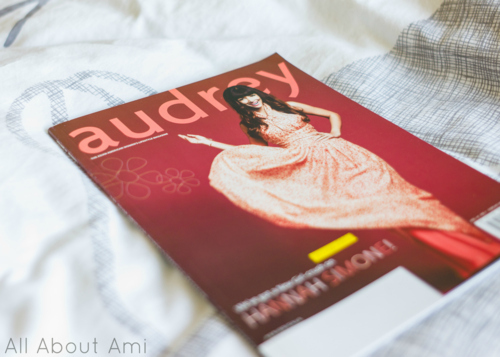 Audrey is the “Asian American Women’s Lifestyle Magazine”, and I was so excited when my hard copies came in the mail. Growing up, I used to read magazines such as “Cosmo Girl”, “Seventeen” and “Teen Vogue”, and I would get very excited whenever I saw an Asian face on a page, which of course was rare. Audrey highlights Asian-Americans in entertainment, sports, and pop culture in general, and they also feature Asian-American models in their beauty and fashion sections. I think it’s exciting where the Asian-American community is headed as the cultural landscape diversifies and more Asian-Americans are visible in the media! My feature is on the very last page! They included a large picture of my Dragon as well as a picture of my Spring Bunnies in the corner. The feature also includes a little bit about me, including my inspiration, my blog name and how I got started in crocheting. I am so thrilled and honoured to be featured in this great pioneering magazine! My brother Corey is a big Nintendo fan (I’ve crocheted a Bob-omb and Luigi amiguurmi for him as well as a Pokemon cell phone cozy) and he’s always loved reading Nintendo Power. I used to flip through his magazines as we played our fair share of Nintendo games together growing up (e.g. Super Mario 64, Legend of Zelda: Ocarina of Time, Luigi’s Mansion, etc). Corey told me about the “Community” section at the back of every issue of the magazine which features fanwork from all around the world. I thought I would submit the amiugurumi Link I made since I was so proud of how my Hylian shield and accessories turned out! I was thrilled when I heard back from Nintendo Power as they were very interested in my amigurumi! Freelance writer and game journalist Nathan Meunier asked me some questions and began writing his article. 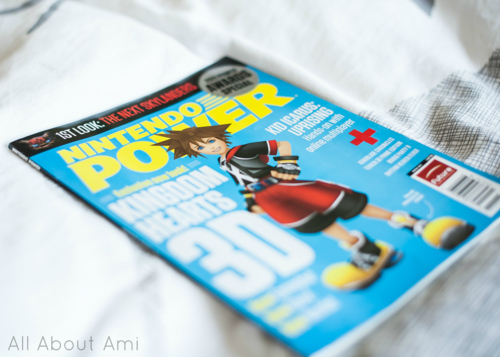 I did not know when my Link would be featured, but one day I got an excited message from Corey, telling me that he found Link in the March 2012 issue with Sora of Kingdom Hearts on the cover! I quickly went out to the store and bought myself a hard copy! 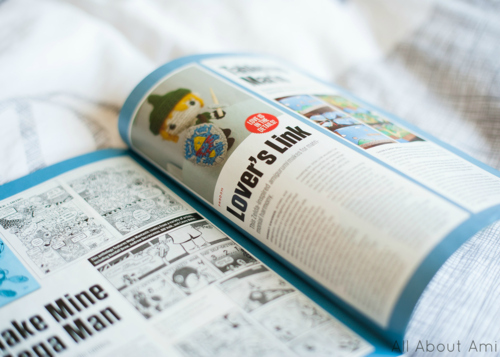 I love the title of our feature: “Lover’s Link” with the description, “This Zelda-inspired amigurumi makes for matrimonial harmony”. The article highlights how we work as a great husband and wife team and how we wanted to create our own accessories after following Japanese artist Becchin’s original design. It’s so exciting being featured in a magazine that we used to read growing up! Lastly, I was contacted by the wonderful people over at Craftgawker. Craftgawker was being featured in a crafts magazine in the UK called “Crafts Beautiful Magazine” (haha I’ve probably never used the word “crafts” so many times in one sentence before :P). This magazine wanted to use some images from Craftgawker, so Craftgawker asked if they could have my permission to send them the photo of my amigurumi Dragon! Of course, I happily obliged and was excited that such an awesome site with so many beautiful images wanted to use one of mine! 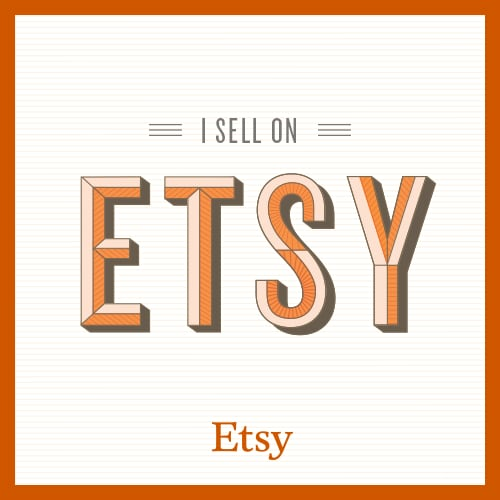 Craftgawker has been very instrumental in introducing people to my blog, and I highly recommend you check out their site if you haven’t so already: there are so many gorgeous images of inspiration for free tutorials and wonderful craft ideas. 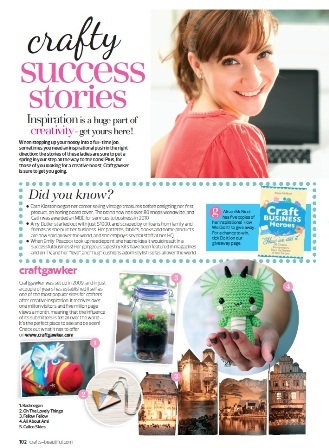 You can see my Dragon featured on the page that appeared in the magazine!